Dryland Training | Vermont Paddle Pups! 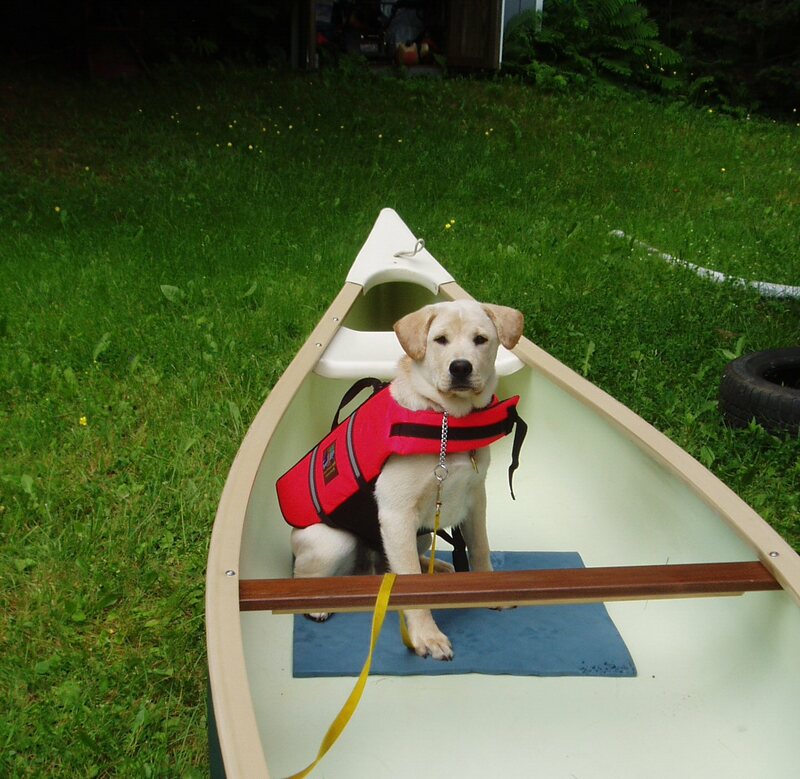 When Griff was 5 months old, we purchased an Outward Hound PFD for him…we feel that if we end up in the drink, struggling with a large dog who is not fond of swimming may not be the best situation….We began dryland training with him, having him get in and out of the canoe, without stepping on the gunwales. We had him practice his sit,stay, and down. We also tried various mats, to find the one which kept him most secure. We settled on an old backpacking sleeping pad, made of a soft foam. Well, as Griff grew, we ended up purchasing a larger Old Town Canoe ( 16 foot Discovery model); good thing, since we will now have 2 dogs with us! Griff is now about 75 lb. , and his original life jacket is a bit small. ..but it is a great fit for Edgar. Sooooo, Griff now has a new XXL Outward Hound PFD , and Edgar has the hand-me-down. Once the 2 feet of snow in the yard has melted, we’ll bring up the canoe, and begin this training with Edgar..first alone, then with Griff.